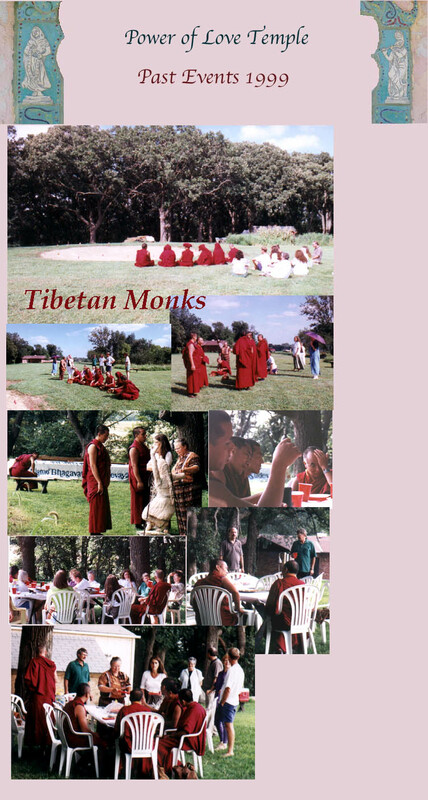 Omaha Healing Arts Center brought the Tibetan Monks of the Gaden Shartse Monastery to Omaha in 1999 and Steve Kelley sponsored them to come to the Temple site to offer prayers for the success of building the temple. Leela made a picnic lunch that we all enjoyed before they did the ceremony. The monks were very generous with their time answering our questions. We all sat in the heat of the sun as traditional prayers were offered. The ceremony lasted approximately one hour..... but it's memory is still alive today.